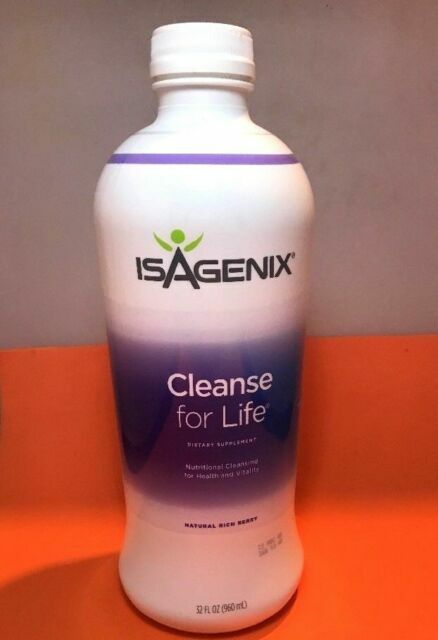 Isagenix - Cleanse. Cleanse for Life is a synergistic blend of natural cleansing herbs and antioxidant botanicals to help support the body’s own detoxification processes. A synergistic blend of natural cleansing herbs and antioxidant botanicals to help support the body’s own detoxification processes. Isagenix IsaLean Shake - Creamy French Vanilla 29.6 Oz. Have found nothing that works as good. Combined with the Isagenix shake. Healthy, fast, good way to stay in check, especially as I get older. Have done it at least once a year for last 10 years, I am 53 now and use it as weight control & health check. Keeping my sugar, weight and diet in check. Great product, highly recommend it. Loved the taste, and result of the product in reducing my weight. System works well and it great to help to become more active and healthy. I have never found a product that keeps me cleansed.It even has a good taste.